Fashion Maven... Mommy: Are YOU a Julep Maven? So i was curious! 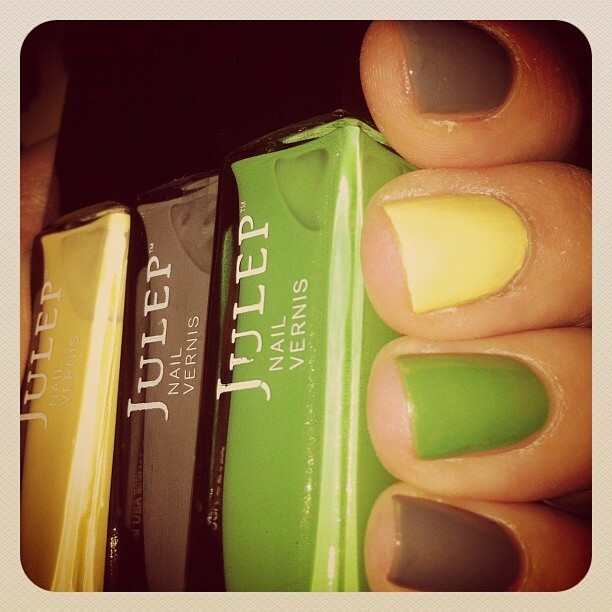 Every time i view my blog, i notice this interesting AD for Julep nail polish. Interestingly enough, it always asks "Are you a Julep Maven?" Well, i know I'm Fashion Maven Mommy but a Julep Maven? Well, i decided to take a look and see what this was all about. So, initially when you first go on this site, you are asked to take a quiz in order to determine what kind of maven you are. 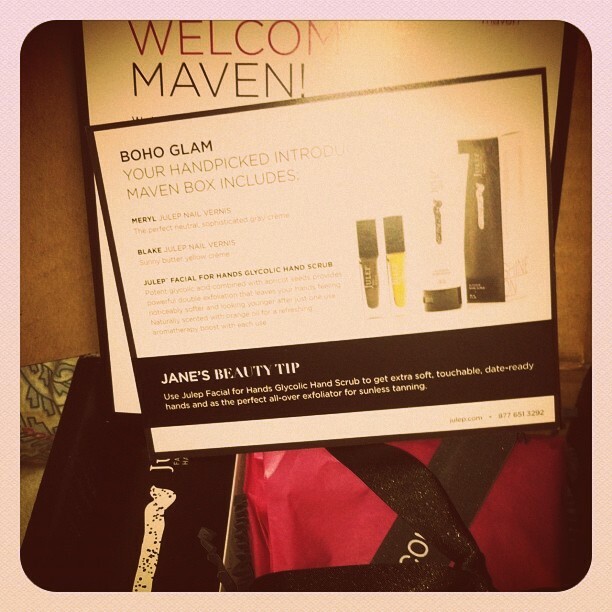 It was a short, yet fun quiz determining that i am a "classic with a twist" maven. I chuckled because I've often described myself as just that... that exact term in fact! Classic with a twist! So, once you determine what kind of maven you are, you can then sign up for monthly deliveries of Julep nail polish/products for only $19.99 per month. Mind you, each polish costs around $14 so you are actually getting a deal! If you don't like the selection your particular maven has to offer, you can opt to change. I did just that opting for Boho Glam Maven simply because i was intrigued by the grey and yellow selection. It also came with glycolic hand scrub leaving your hands so soft and smooth! Now are you ready for the best part? I only paid $.01 for this! Yep, you heard right... shipping included! They have an awesome trial offer, so if you look for their ad on my page, you will find the coupon code necessary for this particular offer. You can't go wrong! No go ahead and let that inner Julep Maven in you loose! Have fun and let me know your thoughts! FYI: The grey and Yellow polish came as my first set along with the glycolic hand scrub. The green polish i purchased at Sephora as they now carry Julep polishes as well! As for the three colors on my nails, i just couldn't decide which to wear... so why not all right? great nail colors! do you want to follow each other? follow me and i'll follow you back soon! 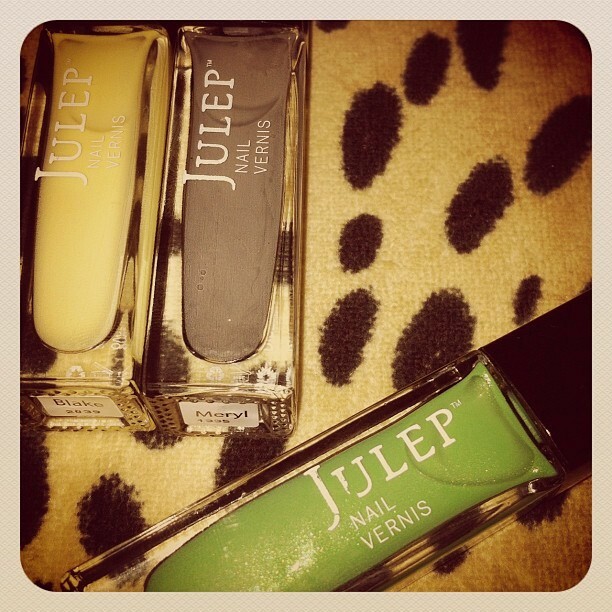 I am a huge fan of Julep! I have several months worth of boxes and the colours are gorgeous. Thank you for visiting my blog! I'm following and hope to see you back! Love that soft yellow colour!! I love all three colours and their combination! You have quite a collection as I found out while checking your blog!!! i love these colors (brilliant wearing them all at once)! I like the colors. Julep product is so cutely polished. I like the color pallette. Thanks for sharing. 1. I love the word 'maven' 2. I am swooning over the yellow nail polish color, genius! especially mixed with a chocolate or gray. I've only heard of Julep for the first time the other day, but everyone seems to like it. The colors seem to be really great so I might have to give it a try! these are my top 3 colors! i love em! By the way: the combination of colors is great! Love your nails! I am now a follower on bloglovin and gfc. Follow back if you'd like.